Back in the summer, My mother in law found an adorable fireman costume for my son to dress up in, so of course we knew what he was going to be for halloween this year. My dilemma? 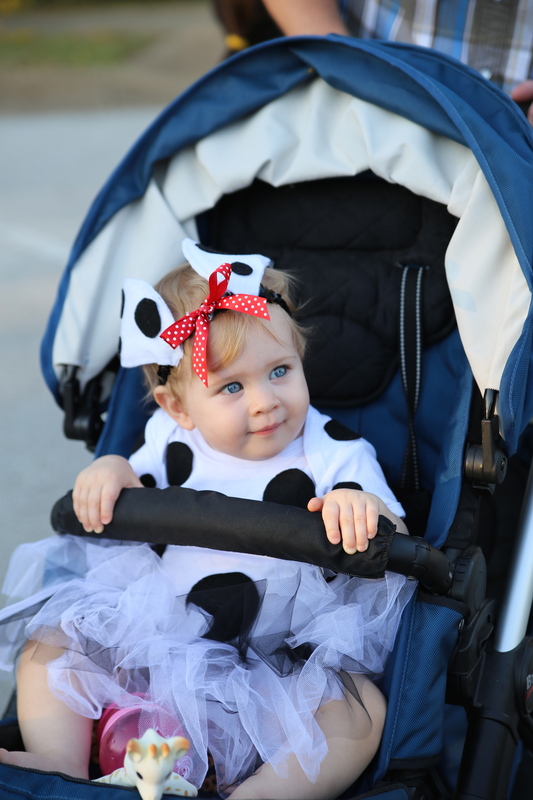 Finding a costume for my daughter was proving rather difficult. I wanted her to be darling and girly, but I kept going to the idea of making her a dalmatian to go along with the firman suit. Anything you find in the store is fairly boyish and pretty hot. Living in Texas, it’s always a gamble on the temperature for halloween! 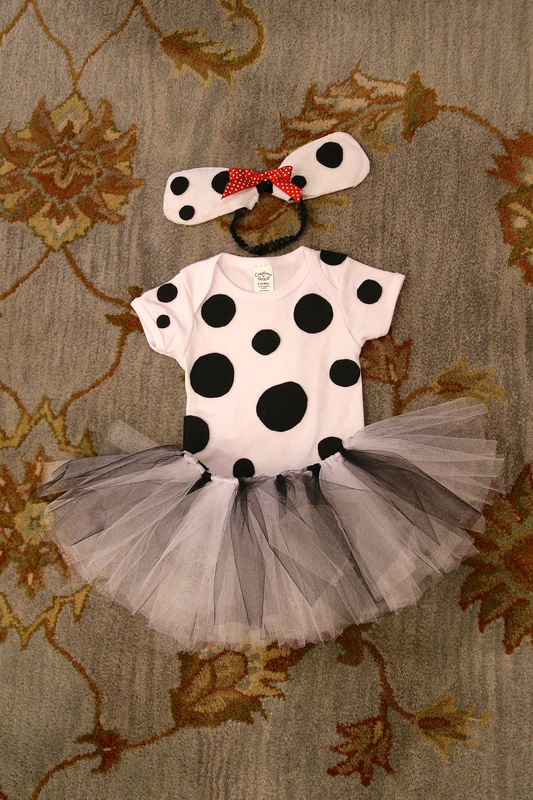 So I decided to search Pinterest to find alternative ideas, and I found a girly dalmatian costume that someone had made for their little girl. There was no “how-to,” so I took it upon myself to figure it out and post it here! My apologies for the low light, I like to work on the floor and my hubs was “watching” the World Series with his eyes closed, so I left the lights dim, hah! 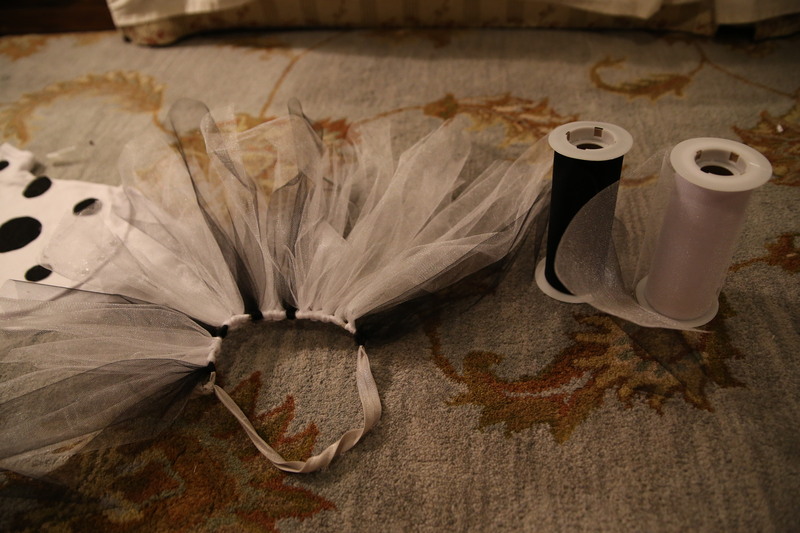 I bought a couple pieces of black and white felt, white tulle, and a onsie and got to work! I had the rest of the supplies at home already! 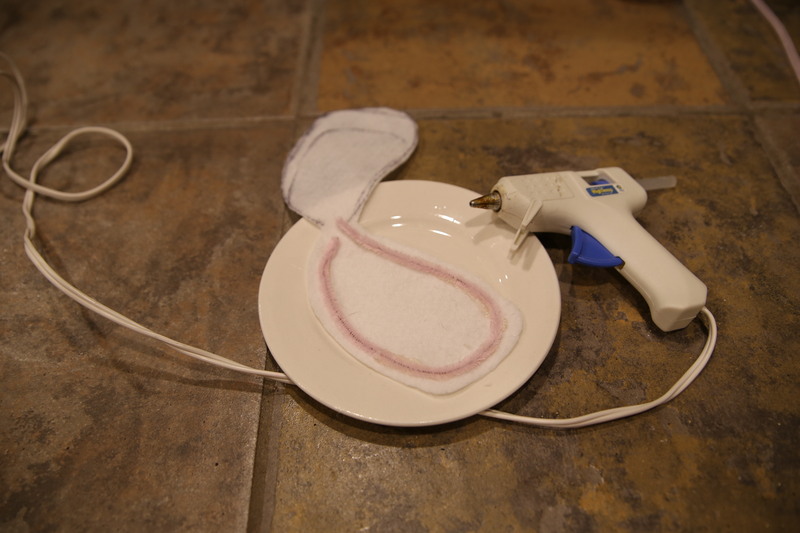 So my cost for this project was under $10!!! Woohoo!!! 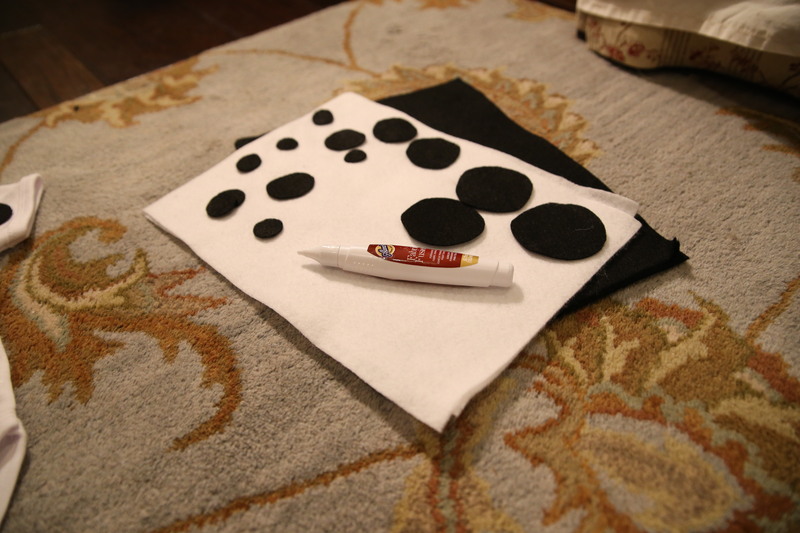 I started with cutting out a bunch of black circles in a variety of size and then glued them onto the onsie with some fabric glue. 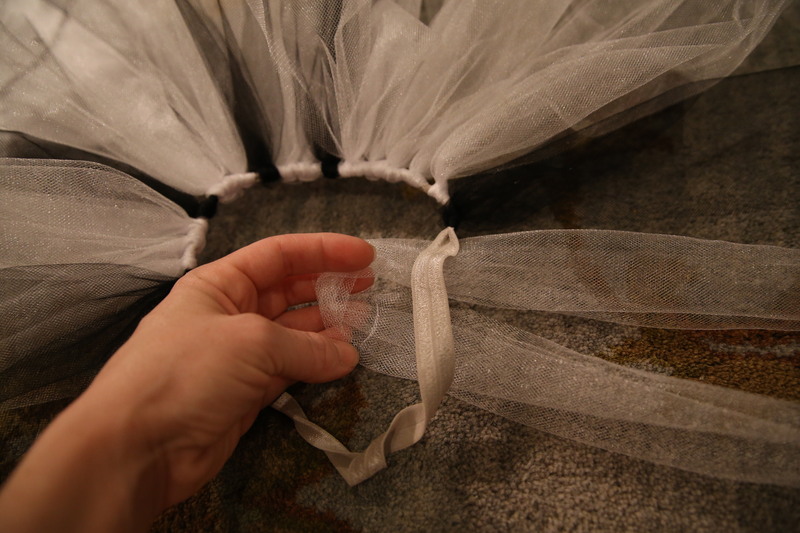 I glued the front first, let it dry (took maybe an hour), and then glued the back. 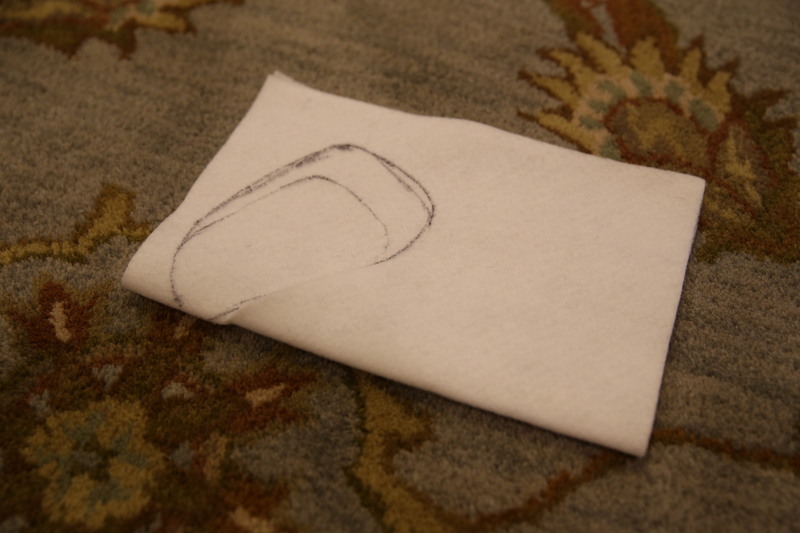 Next I folded the white felt and free handed an ear leaving a fold where it will go on a separate headband. After I cut it out, I used a hot glue gun to glue on a pipe cleaner to give it some definition and so I could fix the ears the way I wanted once on her head. 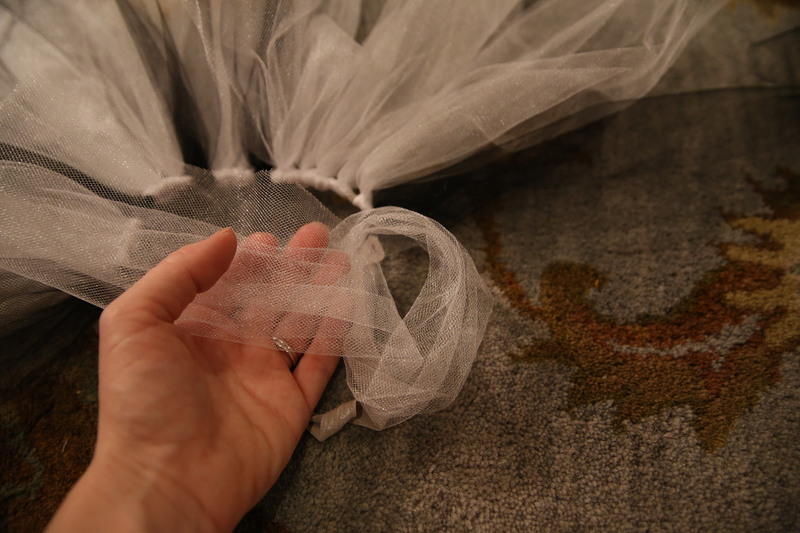 I left just a little room on the edges to glue the felt together so that it would be concealed. Before I glued the ear back over, I placed the head band inside the fold so that they would be on nice and secure (sorry I forgot to take that picture). 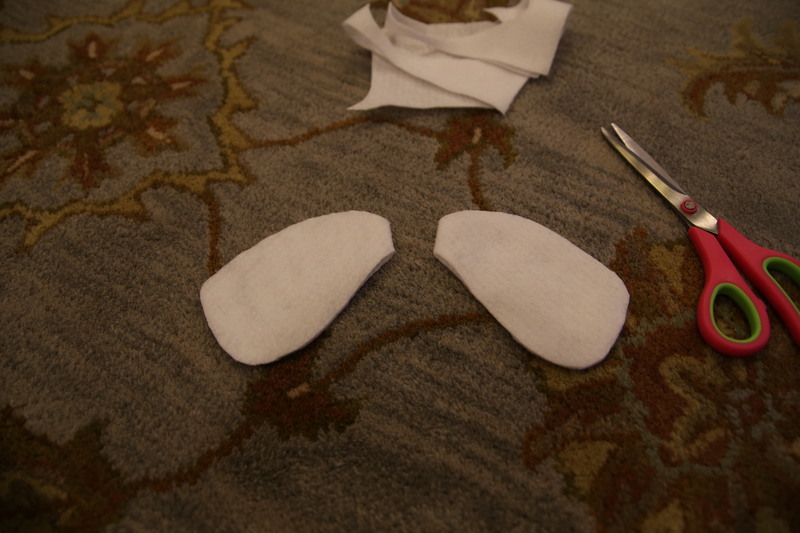 Once I had the ears made, I glued just a few more spots on them and put a little red bow in between. And viola! I have some white leggings, socks and shoes I will put with it! I also have a white jacket if it gets a bit chilly 🙂 Happy Costume making! I’d love to see some of your homemade costumes!